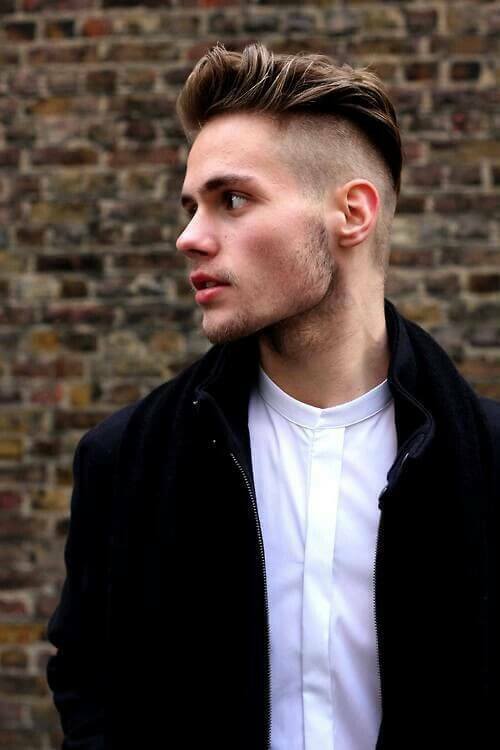 Shaved side hairstyles are also called undercut. Shaved side hairstyles are also called undercut. It became a trend in 2012. Shaved side hairstyles are famous because it has lots of stylish variations. Since the sides are left short, the middle part can be tousled, slicked back, styled into a quiff and spiked, just to mention a few. 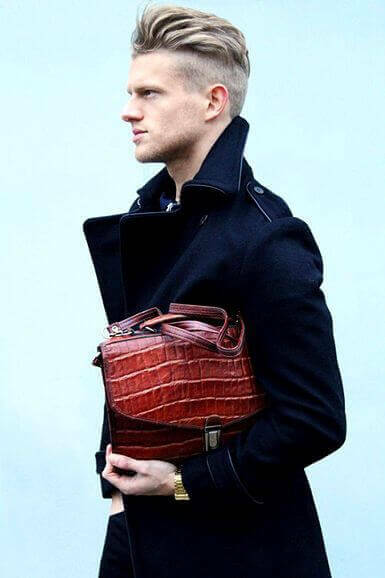 In this generation where looks matter on both men and women, it’s not surprising to find men look for ways and trends to make their hairstyle more aesthetically pleasing, even if it means more effort in maintenance. 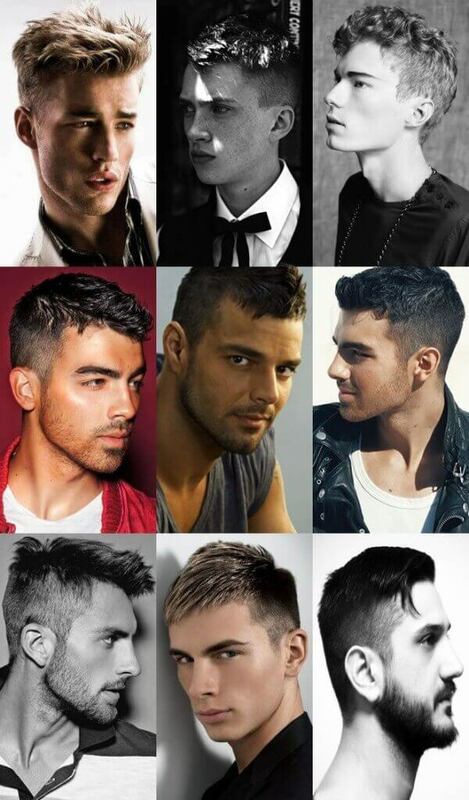 The following are the popular choices for shaved side hairstyles for men. The sides and the hair around the nape are shaved or short, almost like a crew cut. The middle top part is styled long. Because hair will not go against gravity, mousse is used for volume and hair spray and hair wax is used for hold. 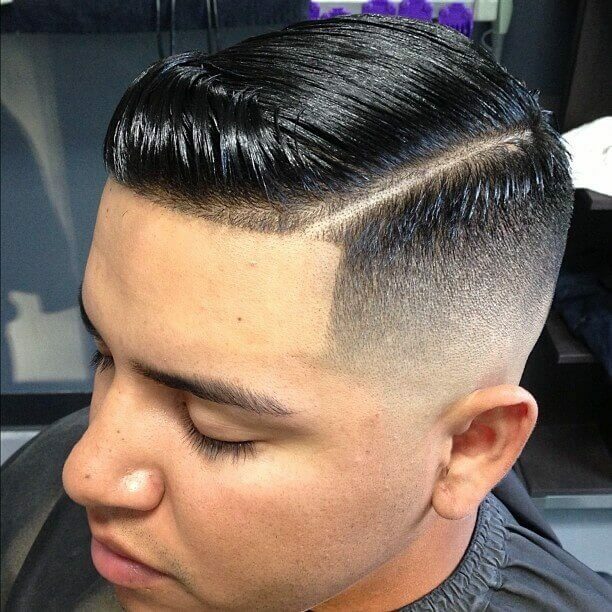 A hair pomade is also used as a replacement for the hairspray because it is malleable, meaning you can shape and reshape the hair anytime while still maintaining the hold. A blow dryer and a hair brush will come handy when shaping the quiff. 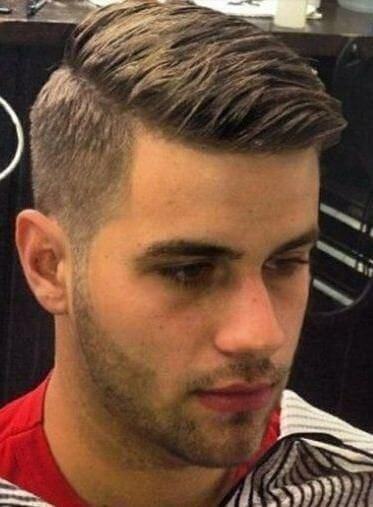 This hairstyle would make a chubby face appear slimmer. 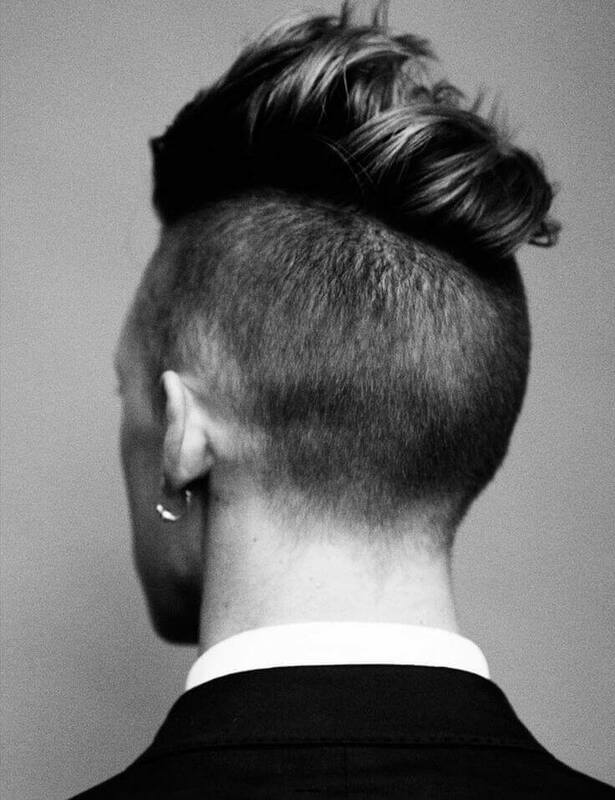 The pompadour is a softer version of a quiff. The long hair at the center is raised back or styled to the side while maintaining the volume. Overall, it looks puffy and non-greasy. 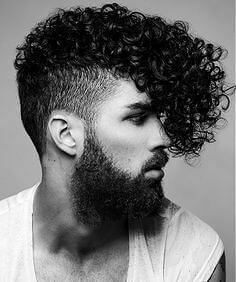 They create a better looking pompadour, let the hair at the center grow a little longer to create more manageable soft waves. The spiky is a version of the quiff. 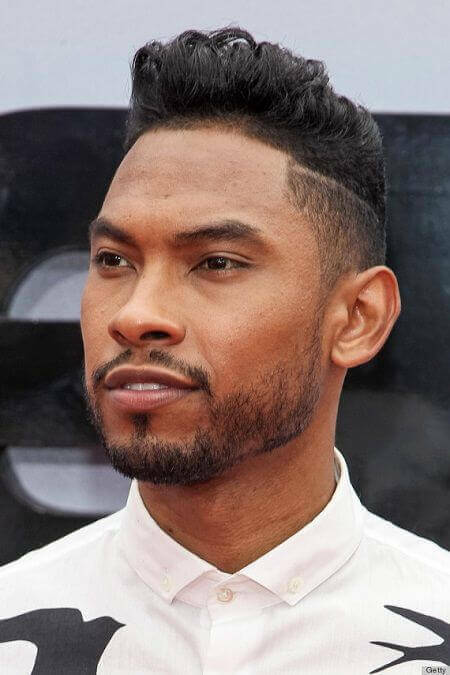 Instead of creating luscious gravity-defying waves with the quiff, you use pomades or hair waxes on the long hair at the middle and coiff it at the top and the part located near the forehead. 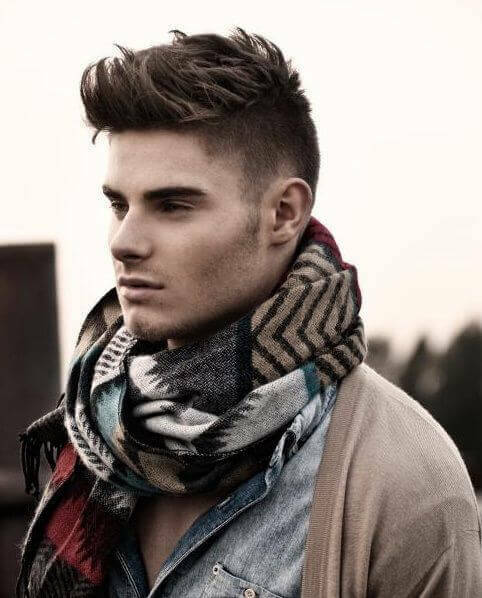 The spiky quiff works for straight and wavy hair. 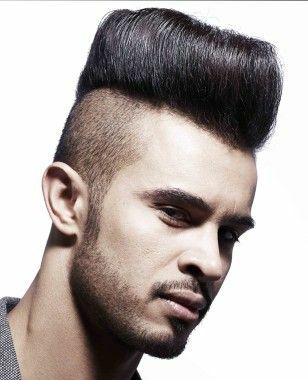 Unlike the use of hair gels for spiking, the spiky quiff calls for raising and coiffing the hair, not forcing it into pointy needle-like sections. The hair at the line of the part will be shaved shorter than the shaved side to show the scalp and make the part look sharper and more visible. 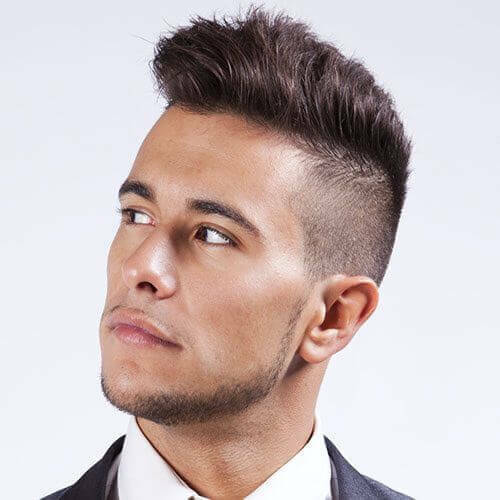 The long hair running at the center of the head can be fashioned into a quiff, pompadour, spiked, slicked back or cut short (but not as short as the shaved side). Maintaining the shape of shaved side hairstyles require a lot of hair holding and shaping products. For men, it should be known that thinning of hair and balding will be noticeable starting from the age of 35. Stress, certain medications and both your parents’ genes affect the tendency for balding. While you still have a lot of hair, take extra measures to take care of it if you love styling your hair. Once a month, consider rinsing your hair weekly with 2 tablespoons apple cider vinegar diluted in a glass of water to remove the product building in the hair follicles.